The concept of due process is one of the earmarks of American Jurisprudence. It is a principle requiring government to respect individual rights and allow legal proceedings to function in a fair and equitable manner. Under the New York State Workers’ Compensation Law, where a medial dispute exists due process is granted to both the claimant and employer. 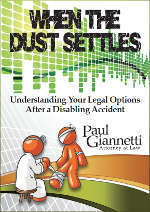 An example of a medical dispute can be a situation where the injured parties’ attending physician indicates that he or she is 100% disabled but the insurance company’s consultant finds that that person is only 50% disabled. Another example of a medical dispute is a situation where the attending physician believes that surgical intervention is necessary and reasonable. However the insurance company’s consultant has determined that surgery will not help. 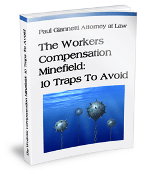 There are many other medical disputes that frequently arise in Workers’ Compensation claims. The relevant case law clearly allows both sides, claimant and employer, the opportunity to cross-exam the opposing physician. Cross-examination usually takes place during the course of a deposition. However, it can also take place before a Law Judge at a Workers’ Compensation hearing. Cross-examination allows each party an opportunity to question the opposing physician in detail regarding their opinions, perceptions, motives, and conclusions. Once parties have been afforded their due process right to cross-examination, a Law Judge is able to render an opinion regarding the disputed issue. In circumstances where a Law Judge has made an opinion and denied a parties’ right to cross-examination, the Workers’ Compensation Board had held that the Decision is improper and should be rescinded until such time as proper cross-examination is completed. Unfortunately, the deposition process delays final resolution but is often a necessary exercise in order for a fair decision to be rendered. If you have questions regarding your New York State Workers’ Compensation case, we would be happy to discuss them with you.